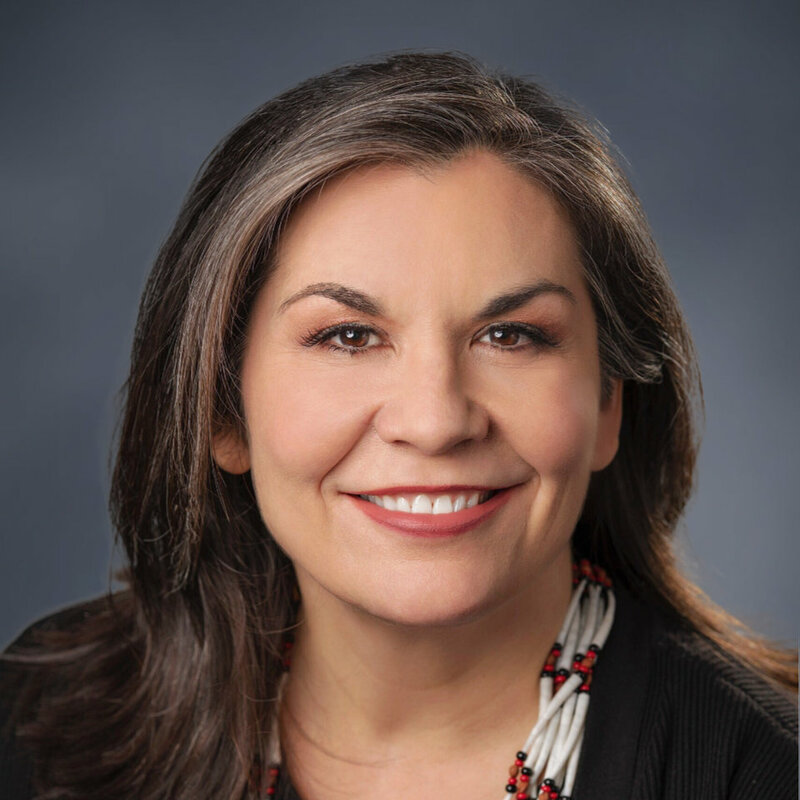 MICHELLE L. LAPENA is experienced in a wide variety of tribal legal matters including cultural resource protection, Indian child welfare, tribal taxation, tribal gaming regulation, tribal governance, the fee to trust process and real estate transactions, and general civil litigation involving tribal governments. Prior to entering private practice, Michelle edited and contributed significantly to reports that were submitted to Congress in August 1997, by the Advisory Council on California Indian Policy. In 1999, she negotiated a tribal-state gaming compact with the State of California, and has successfully negotiated many amendments to other gaming compacts since then. In 2003, she was appointed to the Governor’s Children’s Justice Act Task Force which allocates Title IV-E Child Abuse Prevention program funding to agencies in the state of California. She has served as a trainer in seminars with the Governor’s Office of Planning and Research regarding the implementation of SB 18, a statewide general planning law that she drafted in collaboration with Governor Gray Davis’ Legal Affairs Department in 2004. In 2006, she was featured on the cover of Los Angeles Lawyer Magazine with an article she co-wrote, entitled, “Real Estate Transactions in California’s “Indian Country”: How to Conduct Business with California Indian Tribal Governments and Businesses”. That same year, she left a prominent law firm to begin her own Indian law practice, which she operated successfully until the merger of her practice with Rosette, LLP in November, 2018. She is extensively involved in developing statewide policy in California regarding cultural resources protection, gaming regulation, cannabis operations and tribal taxation. Ms. LaPena received her B.A. in 1993 and her J.D. in 1998, both from the University of California, Davis. She is a member of the Pit River Indian Tribe, and is admitted to practice in California, all federal district courts in California, the Hoopa Valley Tribal Court and the San Manuel Tribal Court. She was a recipient of the 2015 Truman Capote Creative Writing Fellowship and earned her M.F.A. in Creative Writing from the Institute of American Indian Arts in 2017. “Life Along the River” Waxwing Issue 14, Spring 2018. “The Diggins” The Rumpus, June 10, 2017. “Water and Oil” News from Native California, Winter 2017. “Standing Rock, the Bundys, Leonard Peltier and the Search for Justice,” Indian Country Today, November 17, 2016. “Real Estate Transactions in California’s “Indian Country”: How to Conduct Business with California Indian Tribal Governments and Businesses,” Los Angeles Lawyer Magazine, January 2006 (Cover Article). Book Review, “Negotiating Tribal Water Rights: Fulfilling Promises in the Arid West,” by Bonnie G. Colby, John E. Thorson, and Sarah Britton; foreword by David H. Getches. Tucson: University of Arizona Press, American Indian Cultural and Research Journal, Vol. 30, No. 1 (2005). Book Review, “To Show Heart: Native American Self-Determination and Federal Indian Policy, 1960-75,” by George Pierre Castile, American Indian Cultural and Research Journal, Spring 1999. “Federal Land Management Practices and California Indians: A Proposal to Protect Native Plant Species,” Environs, UC Davis Environmental Law Review, June 1998. “A Healing Process,” Prized Writing 1992-1993, An Anthology from the University of California, 1993; reprinted in Frontiers: A Journal of Women’s Studies, University of Washington Press, Vol. 23, No. 2 (2002). Rosette, LLP is a leading majority-Indian owned national law firm representing tribal governments and tribal entities with offices in Arizona, California, Michigan, Oklahoma and Washington, D.C.
Click here to contact a Rosette, LLP team member from any of our five locations.